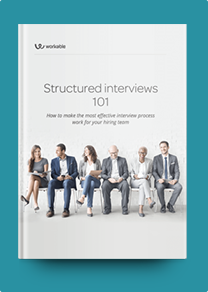 This Training Manager interview profile brings together a snapshot of what to look for in candidates with a balanced sample of suitable interview questions. Similar job titles include HR Manager, HR Training Specialist, Training Manager and Coordinator. Make sure that you are interviewing the best training managers. Sign up for Workable’s 15-day free trial to hire better, faster. The Training Manager is primarily responsible for creating, implementing, and evaluating an organization’s leadership and management training. This involves identifying employees’ training and developmental needs. This person is also occasionally responsible for hiring, training, and managing training coordinators. The best way to interview a training manager is to ask the open-ended and situational HR interview questions that will help you confirm their work experience in leadership training. Ask about their successes, their failures, their preferred training techniques, and their process for evaluating what training programs need to be created. Ask about their management training curriculum. And, ask about their ability to build and lead a team of staff. These interviews should also give you a sense of critical soft skills and attributes. Your candidates’ communication and presentation skills must be exceptional. Their speech should exhibit a methodical process that is reflective of their industry knowledge. Your most promising candidates will be familiar with your company and may suggest ways to address current training needs. How do you choose and plan new training programs? How do you keep up with news and trends in employee training? What have you done to improve your skills lately? What has been the most difficult training situation that you have had to deal with and what did you do? How do you get feedback about your programs? How have you used negative feedback to improve a program? Describe a time you introduced new technology to facilitate training. How often do you reinforce training to make sure employees retain their new skills? Have you ever trained one of your superiors? How did you handle it? What’s your approach to hiring good training coordinators? Pro tip: Ask your candidates to describe a recent training program they implemented, from start to finish. How did they design the curriculum? What training methods did they use? How did they ensure that new skills were successfully transferred to their students? How did they communicate the program's successes?